Is upgrading to Club Europe worth it? That depends. British Airways is the only airline offering a club class experience on flights to Lanzarote from the UK, and they only fly from London Gatwick. We’ve flown on the service a couple of times, so we thought we’d share our views. But in summary, unless you need a massive luggage allowance, the “normal” pricing for Club Europe isn’t really worth the extra. But BA often do special deals, and when they do, it’s something we would recommend. There are a couple of disappointments. BA don’t have a deal with Lanzarote airport’s lounge, so there is no free lounge at this end. But the BA lounge at Gatwick is truly fantastic as some compensation. And finally, there’s no entertainment. BA don’t offer any kind of system in their A 320’s, whichever class you travel in. That might be OK on a short haul flight to the med, but at four hours, Lanzarote flights could really do with some entertainment. One thing worth expanding on is the Gatwick experience, which is a bit special. BA have a dedicated check-in area for Club Europe, complete with red carpet and couches. From there, you go straight through security fast track, and as you pop out the other side, into the BA Club lounge. 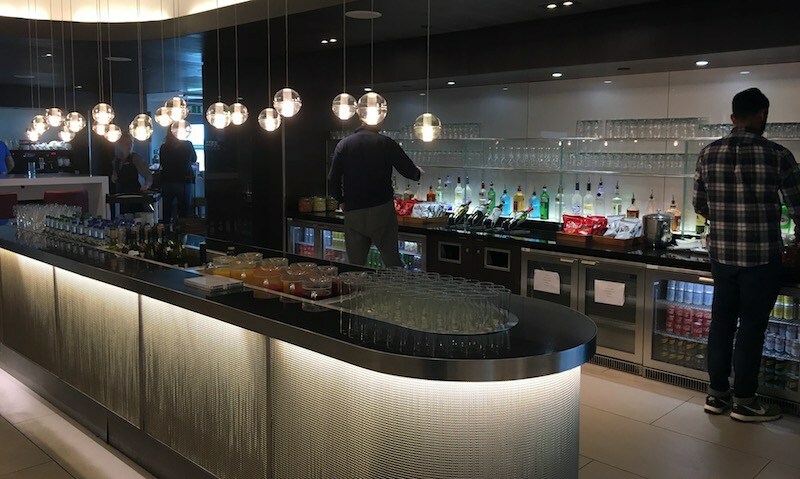 The lounge has loads of different seating areas, great views of the apron, free flowing drinks including Champagne, and plenty of hot and cold food on offer. As we said at the top, it’s not easy to justify the additional cost of the Club Europe service – it can be as much as £200 dearer than an economy flight. But, if you pick the right date, it can be as little as £80 more, and then it starts to make sense. When you also factor in that the additional Avios for Club Europe mean you’ll get roughly one flight in five free, then, for regular travellers, it can be a prudent choice. We tend to book Club Europe either when the upgrade price is very low, or when we need lots of luggage for a long trip. More reading: Read about Lanzarote Airport.